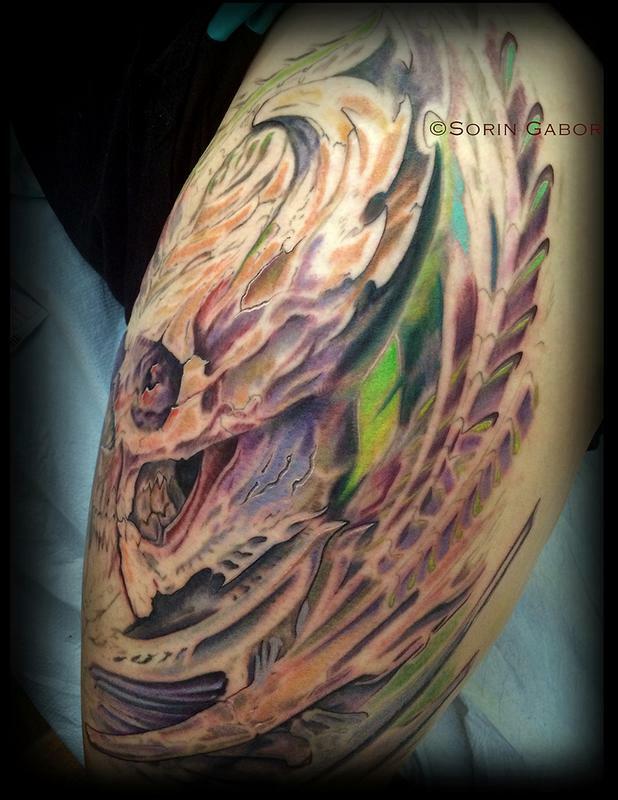 Realistic color bio organic skull tattoo on thigh. She chose one of the color variations from my original skull digital painting and we tweeked it slightly. Thank you for getting my original painting on you as I created it. More of these types of tattoos- email me and lets do more bio.